Brussels, 28 November 2017 – One year ago, the European Commission presented the Clean Energy for All Europeans legislative package, but it’s headline target of 27% renewable energy by 2030 fell short of its ambitions. With today’s vote, adopting a target of at least 35% renewables, the European Parliament Committee for Industry, Research and Energy puts the EU within reach of meeting its objective of being world leader in renewables. “In view of the Paris agreement, we need a strong national obligation besides ambitious targets of at least 35 %, ” said Dr. Dörte Fouquet, Director, EREF. The European energy sector must fully decarbonise to comply with the objective of the Paris Agreement and keep average global temperature increase below 1.5°C. A 35% renewable energy target in 2030 is the bare minimum required to maintain the fastpaced growth of the renewable sector in face of increasing international competition. A strong and vibrant domestic market will ensure Europe reaps the economic benefits of a clean and efficient energy system fit for the twenty-first century. “A 35% renewable energy target by 2030 would keep Europe in the game in terms of global renewable energy technology leadership, and generate significant jobs, growth and export opportunities. The Rapporteur has done an excellent work in reaching such a strong cross-party agreement”, said Rémi Gruet, CEO of Ocean Energy Europe. “Renewable energy costs have fallen rapidly, and a higher target is not only affordable but economically desirable: wind is now the cheapest form of new power in most EU countries and it creates jobs and growth. But the affordable and economically desirable target isn’t 27%, it’s 35%. Just look at what’s happening: Germany awarded 1 GW of onshore wind at €38/MWh last week; Spain’s last auction delivered €33/MWh”, added Giles Dickson, CEO of Wind Europe. For the EU to be world leader and remain a driving force on climate action, European and national policies must allow for a thorough penetration of renewable energy in all segments of the energy sector: electricity, heating & cooling and transport. “However, provisions adopted on heating and cooling are not quite ambitious enough to prevent the EU from locking in fossil fuels in this sector”, nuanced Jean-Marc Jossart, Secretary General, AEBIOM. “The 35% renewable energy target voted today calls for more ambition also at the decentralized level. Renewables in buildings must get a real boost in the next decade if this target is to be reached” for Pedro Dias, Secretary General, Solar Heat Europe. provide renewables investors with the long-term perspective they need to plan industrial activities. “The efforts made by all political groups to find compromises on the most important issues are positive. 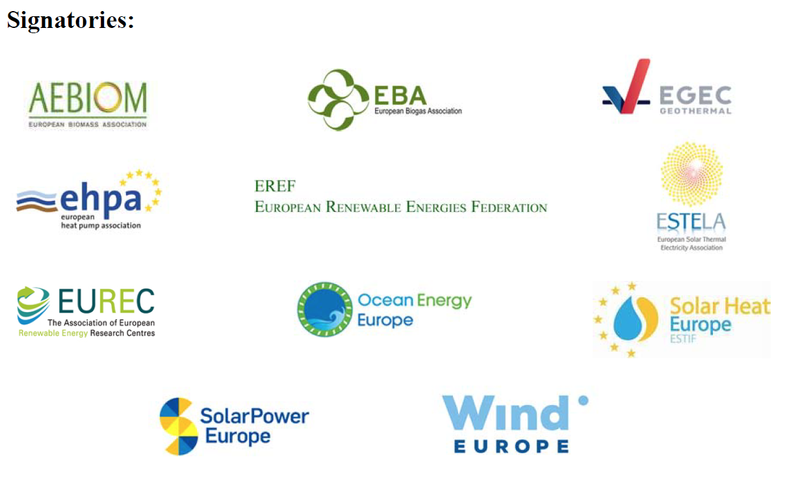 The Rapporteur on the Renewable Directive has done an excellent work in reaching such a strong cross-party agreement. The Parliament must now defend this position and bring the Council to this sensible and much needed level of ambition”, concludes Philippe Dumas, Secretary General, EGEC.